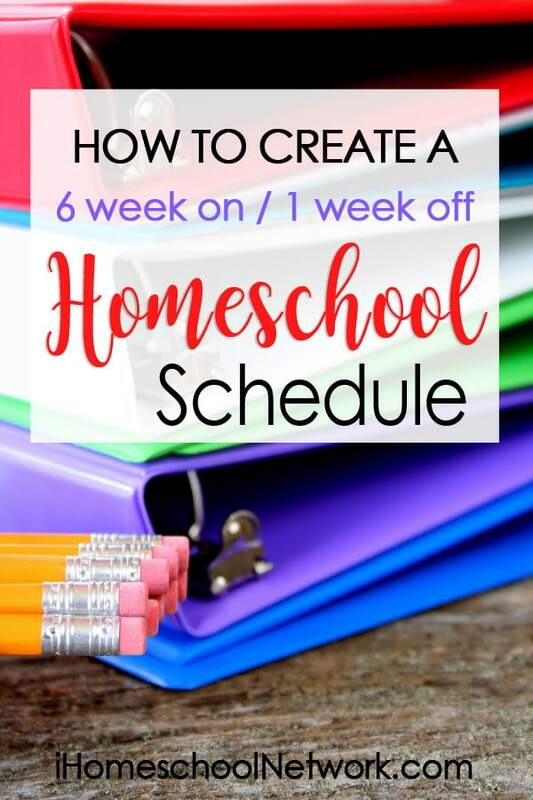 Having a homeschool schedule is important! Let me start by saying that having this schedule is new for me and that I’m in no way a “professional” at it yet, this blog post is intended to simply give you a scheduling idea and not to deter you from trying any others. When I finally sat down in the middle of the summer, shortly after ending our school year, I knew I needed to make some changes to our upcoming one. First, I needed to address our learning space, we needed an official homeschool room, for more on that you can check out my homeschool room tour here. The next thing I needed to evaluate was our homeschool schedule, or should I say the lack of one. Last year we were in a free for all mode and although we made it, we barely did so. Last year I was teaching two children, this year three, all while our twin toddlers cause chaos. With a fourth and second grader, and now a kindergartener I sat out to set up a plan for our homeschool schedule. The first step to planning out my new homeschool schedule was picking up a new planner. As a lover of pretty paper and an avid paper crafter, I knew I wanted something fun and colorful so I chose the teacher edition of The Happy Planner from Me and My Big Ideas. 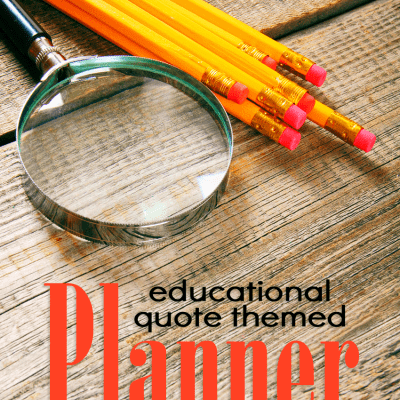 Of course, these planners are designed more for a typical classroom teacher but with very little effort I was able to add some custom pages to create my very own homeschool schedule planner. I have these pages available for free download. No, for real, grab some coffee, your planner, your curriculum and prepare for a few days of lesson planning. I know, it sounds a little overwhelming and for a little while, it is. Especially if you have more than one child. I started with Jackson, my fourth grader, and his language arts lessons. Using a pencil, I filled in his subject, lesson, and any supplemental aids I would need for that particular lesson for that particular day. I did that for each school day for six weeks. It will go fast. A tip, stay with one subject at a time. Once I had it all on paper I coordinated all of our resources, materials, and activities. Once I had my plans all planned out I needed a way to organize all of our physical materials and virtual resources. For our real materials such as paperwork, books, and manipulatives I purchased a file crate and some colorful hanging folders. I only used this bin for my second and fourth grader, take a look at my Kindergarten set up here. I decided to color code each child to make it easier to separate their worksheets and task. Each had six folders labeled accordingly. Another tip, use paper clips to keep materials for subjects together in the weekly folders. At the beginning of the week, I gather the corresponding folder, place it in the front of my planner and I am able to pull our materials when needed. For virtual resources such as YouTube videos, game sites, and other links I simply created desktop folders for each child. Inside the main folder contains weekly folders named for the corresponding week. Inside the weekly folders are daily folders and inside the daily folders are subject folders and inside the subject folders are links to that particular lesson’s online resources. Whether it’s a video, game, or article to read they can simply click on it and go straight to it. I know what you must be thinking, it seems like a lot of work. And in truth, it really is, for a few days. Then I get six weeks of not having to stress about having lessons ready because they’re planned, written down, organized, and just a few clicks away. My last tip, schedule outside appointments during the break week. Don’t get too far off schedule during the six weeks. Now the six weeks will go by fast so be ready! Plan accordingly! Now that you know the process and set up it won’t be so overwhelming each time. Start ahead of time. A little at a time so that the week “off” will actually be a break for mama too! Hey Ya'll! I'm Stephanie. I'm a Christian, wife, homeschool mom to five, and an avid memory keeper. My latest professional passions include creating content for my Youtube channel and photography. I enjoy sharing my lifestyle, our homeschool adventures and my crafty attempts. My greatest desire for my online presence is to inspire you to create beauty and serve beautifully.